15/07 – Open to all publics, no previous experience is needed. Make your own Theremin, the instrument that can be played without being touched. Learn all the steps required to the construction of a Theremin in compact and portable format (the size of a cassette tape) in a practical way. You may not play a Bach fugue with it, but you will certainly get incredible ghostly and spooky sounds, with a striking vintage style. The Theremin, invented in 1920 by Russian physicist Léon Theremin (Лев Сергеевич Термен), was one of the earliest electronic instruments in history and the oldest that has lasted until today. It is known as “the instrument that can be played without being touched” because there is no physical contact between the performer and the instrument. Simply by moving the hands around the antenna, which reacts to the capacitance of the human body, the performer manages to get variations of tone or volume. Its sound, which may recall that of a violin or an electronic cello, is very much present in the horror and science fiction films of the 50s and 60s. 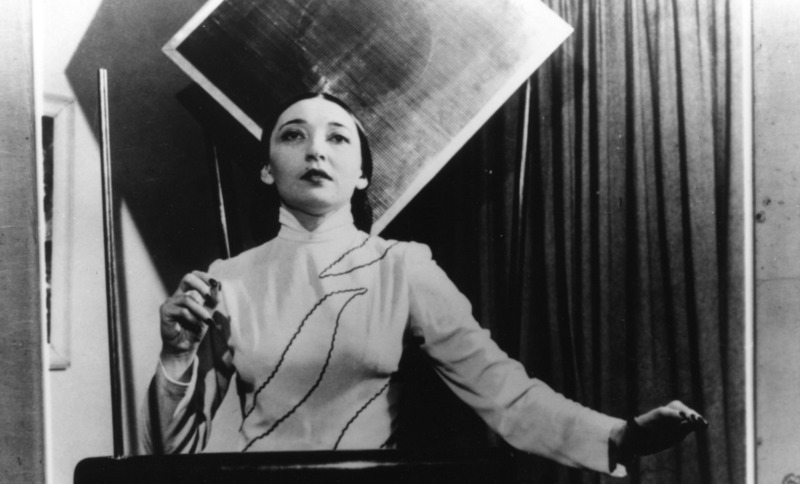 Clara Rockmore and Lydia Kavina are some of the renowned thereminists who have explored and Adapted this instrument to the classical repertoire. Lina Bautista studied musical composition, sound creation and contemporary technologies in Bogotá and Barcelona, Creation of Interactive Musical Instruments at Pompeu Fabra University and Arte Sonoro. She is currently teaching at the University of Barcelona and SAE Institute and she is a technical director at l’Estruch. She is a member of Sons de Barcelona, L’ Orquestra del Caos, the Familiar DIY group, in conjunction with Patricia Usero and Manu Retamero. Patricia Usero (aka Puntalaberinto) is a self-taught audiovisual artist. She worked illustrating children’s educational books, organizing and producing festivals, taking part in the production of short films and leading plastic art and manufacturing electronic devices workshops. Since 2007 she begins to work around sound and she entered the world of electronics to design and build her own instruments. Léon Theremin (Lev Sergeyevich Termen) with his instrument during the 20s.